Welcome to the 4th Foodie Friday. What is Foodie Friday? Well, it's a bit like a modern day recipe swap. We'll meet here each Friday to link up our recipes. Most weeks we'll have a theme, but sometimes, we'll do an all-out potluck. I'm open to suggestions as to what the next week's theme should be so feel free to leave those in the comments. This week's a potluck week so link up whatever recipe you want. Link up as many recipes as you want. This week, I tried four recipes that were linked up in past Foodie Friday. Three from last week and one from the week before. Y'all sure are making my meal planning easy! First up is Kristi's (from Life is Just a Bowl of Cherrys) Stuffed Manicotti. Kristi says, "Note: This photo does NOT do this recipe justice! I've never used Manicotti shells before and I didn't realize how thin they were. Because of this, my shells split while they were boiling. No worries, I just spooned some filling down the middle and folded them closed. I forgot that she mentioned needing more than one box of pasta so I ended up boiling some giant shells too. I would say that one box of Manicotti would have been enough. Maybe I just overstuffed mine. Anyway, I just have to say that this is the BEST filling I've had. I've made a ton of stuffed shells in my lifetime and the filling has always been too runny. Not this filling, it was nice and thick and had a great flavor. The only thing I changed about it was t hat I added a TBS or two of minced garlic. For my sauce, I didn't even use a really nice sauce. I used my store brand straight outta the can. This was an awesome meal and I'll be adding to my files for sure. 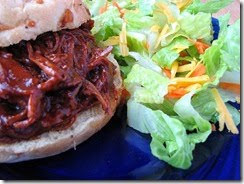 Next up is Jan's (from The Simpler Life) slow cooker BBQ Chicken, which her husband has dubbed "Sweet Baby Jan's BBQ". Just so you know, I love BBQ. I love BBQ because I'm Southern and that's what we do. I love it, but I've never made it before. I've made BBQ chicken breasts before, but never shredded BBQ. I followed Jan's recipe to the T, except I didn't use HEINZ (sorry, Jan). I ended up cooking my chicken for about 6 hours on low. That's about 2 hours less than Jan recommends, but my pot cooks on the hot side. Once it was done, I put the chicken on a plate, got my knife and fork out and got ready to shred. Turns out, I only needed the fork. So this is what they mean when they say fork-tender. Oh my gosh, this stuff was so tender! And the sauce, the sauce was awesome too. It's a tangy sauce because of the vinegar and it's soooo good! We made sandwiches out of this (we didn't use the cheese that her recipe calls for), but I think it would be really good over some white rice and so that's probably what I'll do with it next time. This one's a keeper too. Tonight, we made Rebekah's (from Potholes & Pantyhose) Baked Rosemary Potatoes. Holy Moly, these are good. I've got a cold and I still thought they were great! Han ate two helpings of them and that is saying a lot! She's bot really a picky kid, but lately she's been really finicky. I followed Rebeka's recipe exactly. The only thing difference is that I ended up baking them on the middle rack for an hour and I stirred them every 20 minutes or so. I was just trying to stretch the cooking time until Charles got home and got the Turkey burgers grilled. I will definitely be making these again and they're getting added to the Thanksgiving menu this year. And last, but not least, COOKIES!! This is a Martha recipe posted and linked up by a little bit of everything. First off, you should be aware that this recipe makes about 50 large cookies. That's what the recipe says and I'd say that's pretty accurate since we had 25 cookies and we still have a large roll of dough in the fridge. Also, this recipe requires that you chill the dough so you need to take that into account when making these. I just have to say that these are now one of my favorite cookies. I love them because they combine two of my favorite sweets, cookies and brownies. It's like a brownie cookie! You can't get any better than that! Thanks, Martha, and thanks to a little bit of everything for posting this!! 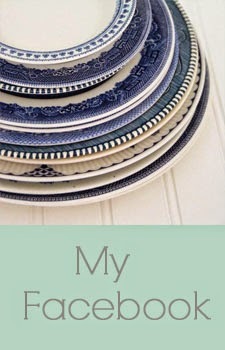 If I featured your recipe, feel free to grab my button. This week's a potluck week so link up whatever recipe you want. Link up as many recipes as you want. And while you're here, go on over and link up to win a $40 gift card to CSN stores. All you have to do is be a follower and link up. That's it! I now have a Foodie button!! Thanks, Charles!! 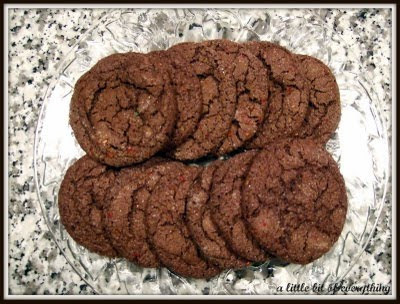 Thank you so much for featuring the most delicious cookies ever! I mixed up a batch myself today and fear I will eat way too many. Good news is, they freeze nicely. Bad news is, they're great frozen too ! Glad that you liked the manicotti! Thanks for featuring it! 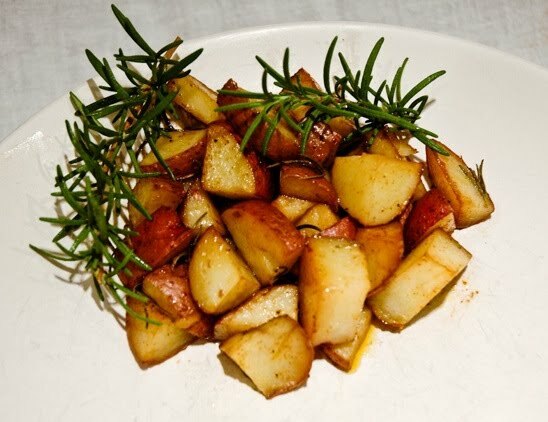 Thanks for featuring my Rosemary Potatoes! I am so glad that you actually tried them and liked them. I really appreciate your props! Man those look really tasty! Visiting from the Blog Hops! 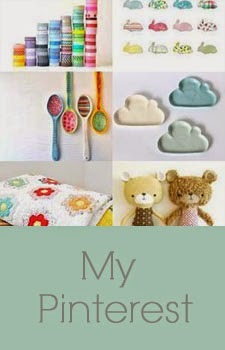 I love your site. I can't wait to get to know you better. Stop by when you get the chance. 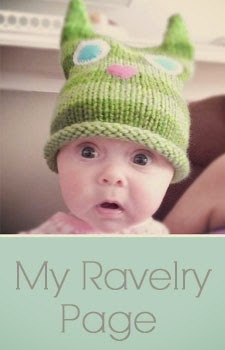 I have a Meet Me Monday blog hop and I would love if you could join in. Thank you for the invite and thanks for hosting. Nice to 'meet' you. I'll be back - I'm your newest follower :) Have a great weekend!